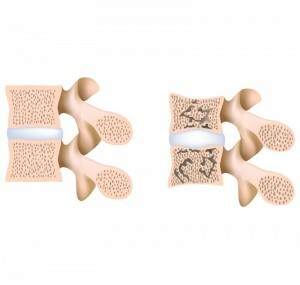 This is a technique where cement mixture that is medical grade is inserted by injection around a vertebra that is fractured. 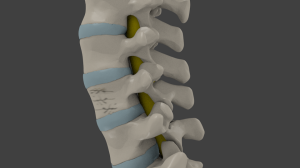 The vertebrae are the bones making up the spine at each level. When they are fractured, a patient will have pain as well as a loss of movement. When vertebroplasty is effective, the injection steadies the vertebra and allows you to return to activity normally after a recovery period. Over 90% of the time, a vertebroplasty provides immediate pain relief. are candidates for a vertebroplasty, however. The patient’s physician has tried other methods of pain treatment and none have worked. All customary methods for treating a fractured vertebra have failed and the patient is suffering with severe and prolonged pain. Or the fractured vertebra is leading to complications that could be quite serious. These are reasons why your Las Vegas Pain Doctor may consider a vertebroplasty for fractured vertebra: traditional methods of treating a fractured vertebra fail such as bracing and pain medication; patient is suffering from severe prolonged pain; and the fractured vertebra is leading to serious complications. 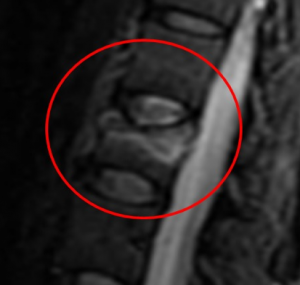 MRI showing a fracture with a high signal. This means it is still trying to heal. rate is about 1 to 3 percent, and most of these are minor. The risks factors linked with a vertebroplasty: hemorrhaging; fever; rib or other nearby bone fractures; nerve root irritation; or infection. In a very small number of people, vertebroplasty may cause a problem with cement leakage. This can cause serious neurologic issues, and occurs rarely. Prior to your procedure, your doctor will order an X-ray, take a comprehensive medical history, and do a physical exam to define the precise location and exact nature of your vertebral fracture. The pain doctor in Las Vegas will also obtain an MRI scan to see your spine in larger aspect and help rule out other problems of the spine. Also, it is important to see on the MRI that the fracture shows a “high signal” meaning it is still trying to heal. Operating on a fracture that is too old will not help. Be certain to tell your Henderson pain management doctor about all over-the-counter and prescription drugs and any herbal enhancements you take. Tell your physician if you have any bleeding disorders or if you are taking any blood-thinning drugs, or aspirin. Based on your entire medical condition, your physician may give you other detailed preparation instructions. For instance, you will need to stop blood thinners a few days prior to the procedure. 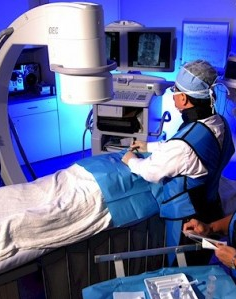 Your LV pain management doctor will use a continuous X-ray to guide the needle into your body to perform the procedure. Your body will be protected from any bad effects from the fluoroscopy while the physician injects a needle into the fractured bone. The doctor will then slowly inject the cement mixture into the vertebra. It may take about 20 minutes for the cement to harden. Once the process is over and the cement has hardened, you will still need to stay in an observation room for an added one to two hours. This will let the physician make certain that the procedure was successful. You will then likely be able to stand and walk with little or no pain. You may experience pain relief nearly directly after the procedure, but for some people it takes up to 72 hours. Your doctor may arrange for you with over-the-counter pain relievers to help ease the discomfort. You may experience some muscle aching for a few days after the procedure. Over 90% of the time, pain relief is substantial. Innovative Pain Care has the premier Las Vegas Pain Management Doctors and over 30 insurance plans are accepted. There are 2 pain clinics in Las Vegas and Henderson. If you or a loved one is experiencing back pain and would like the top pain clinic in Las Vegas, call (702) 323-0553 for more information and scheduling today!